My plan for saving General Motors is pretty simple: Reinvent it as an art factory. We could make vehicle wraps (on solar-powered vehicles, of course) with killer minimalist and op art designs. The vehicles’ interiors would have upholstery by Verner Panton, Alexander Girard, and yours truly. 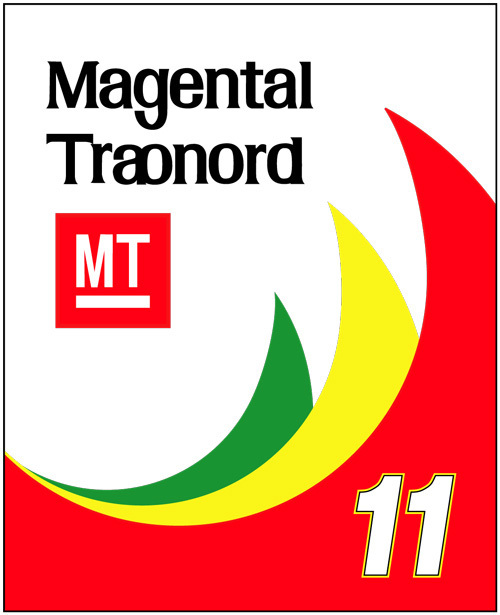 Best of all, this new organization would be renamed Magental Traonord! But seriously, here’s a neo-pop-ish design a made in January 2006, riffing on the old General Motors logotype. Never made it into a painting, though. Enjoy.